The capital city of Khabarovsk krai. Khabarovsk is a city in Russia, the capital of Khabarovsk krai. The city stands on the right bank of the Amur River, on the Middle Amur lowland, about 20 km from the border with China. 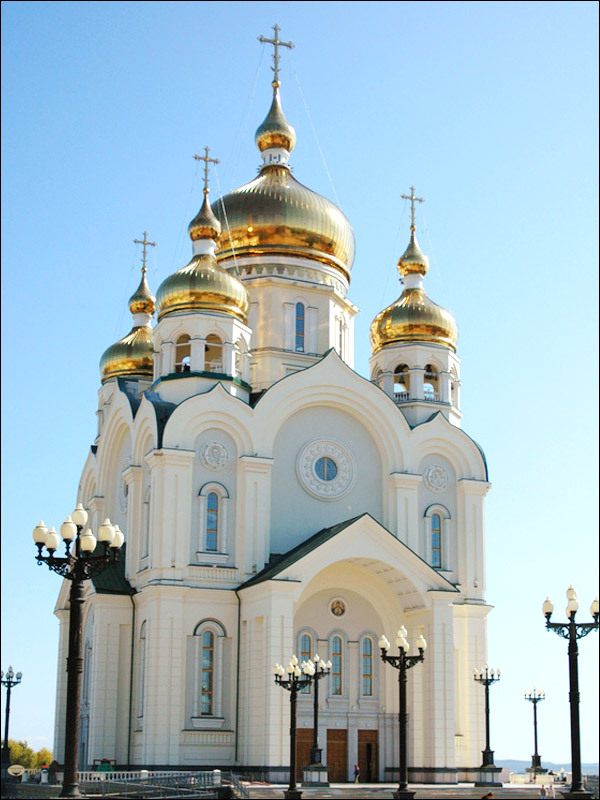 It is a major economic, transport, logistic, political, and cultural center of the Russian Far East. The distance from Khabarovsk to Moscow is about 8,400 km. The population of Khabarovsk is about 607,000 (2015), the area - 386 sq. km. The phone code - +7 4212, the postal codes - 680000-680150. Local time in Khabarovsk city is April 24, 1:12 am (+10 UTC). Until the middle of the 19th century, the territory of present Khabarovsk, in accordance with the Treaty of Nerchinsk, was a neutral territory between the Ch’ing Empire and the Russian Empire. In 1858, an agreement was signed, according to which the entire left bank of the Amur became part of the Russian Empire, the right bank passed into the possession of China. After the agreement was signed, a military post named Khabarovka was founded. It was named after Yerofey Khabarov, the Russian explorer of the 17th century. In 1865, the population of the settlement was 1294 people, mostly soldiers and officers. By 1880, it was quite a large settlement with 2036 people. 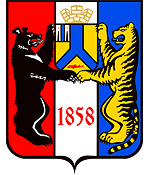 In 1893, Khabarovka was renamed in Khabarovsk. During the Civil War, power in Khabarovsk changed several times. 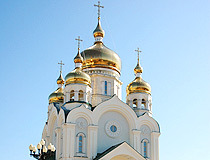 In 1922, it became part of the Russian Soviet Federative Socialist Republic. 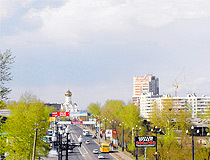 After the establishment of Soviet power, Khabarovsk intensively developed in the economic, social and cultural spheres. In 1925, the railway bridge across the Amur River was restored. In 1936, the railway between Khabarovsk and Komsomolsk-on-Amur was built. 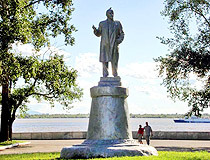 In 1934-1939, the city became the administrative center of the Khabarovsk region. Today, Khabarovsk is a large industrial, transport, cultural, educational and scientific center of the Far East. 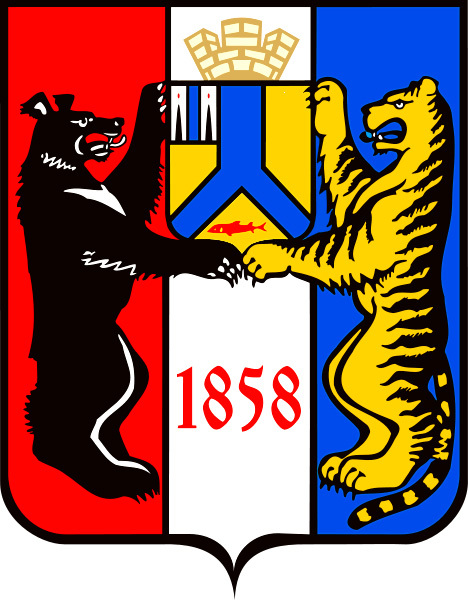 In 2002, Khabarovsk received the status of the administrative center of the Far Eastern Federal district of Russia. In 2008, the railway station was completely renovated. 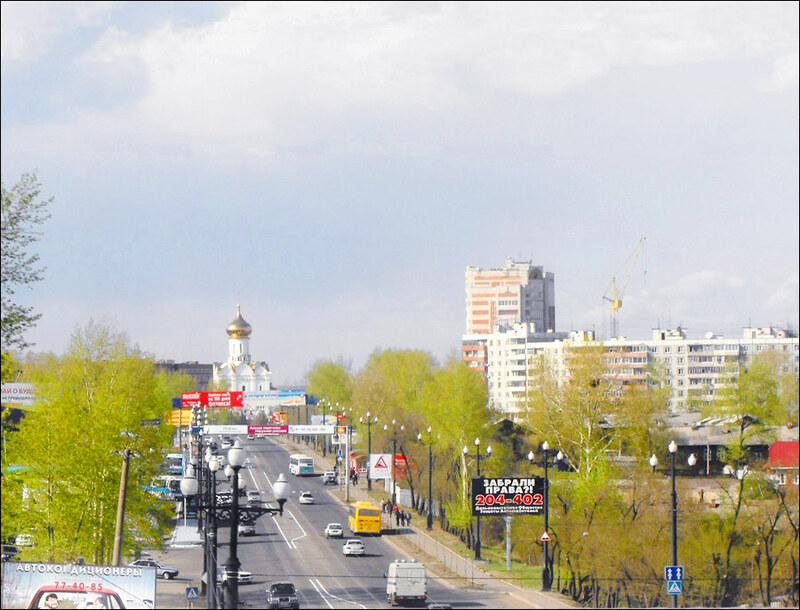 In 2012, Khabarovsk received the honorary title of “City of Military Glory.” In the late summer - early autumn 2013, Khabarovsk was exposed to flooding, which became the strongest flooding for the entire observation period from 1897. December 13, 2018, the city of Vladivostok received the status of the capital of the Far Eastern Federal District. 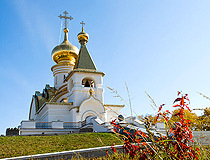 The climate of Khabarovsk is moderate, monsoon, with cold and dry winters and hot and humid summers. The average temperature in January is -19.8 degrees Celsius, the average temperature in July is +21.3 degrees C.
The city is a large transportation hub connecting the north and the west of Russia, Primorye, and Sakhalin. The Trans-Siberian Railway goes through it. Khabarovsk is a connecting point of the federal highways Chita-Khabarovsk, Khabarovsk-Vladivostok (M60-Ussuri), Khabarovsk-Komsomolsk-on-Amur and the highway under construction Khabarovsk-Nahodka. Khabarovsk airport offers flights to Moscow, Vladivostok, Yuzhno-Sakhalinsk, Novosibirsk, Yakutsk, Krasnoyarsk, Irkutsk, Bangkok, Seoul, Harbin. From the high bank of the Amur River, you can see Chinese territory. Khabarovsk Bridge as well as and the cliff and the monument to Muraviev-Amursky are depicted on the Russian note of 5,000 rubles. You can try dishes from around the world in the restaurants of Khabarovsk: Russian, Ukrainian, Italian, French, Bulgarian, Japanese, Korean, Chinese, Uzbek, Azeri and other cuisines. The Art Gallery named after A.M. Fedotov (Muravyov-Amursky Street, 47). More than 700 paintings, drawings and objects of traditional art of indigenous people of the Amur region. 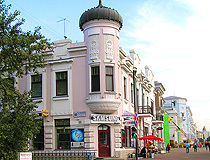 White Theater (Sheronov Street, 67). Park “Dynamo” (Karl Marx Street, 62). 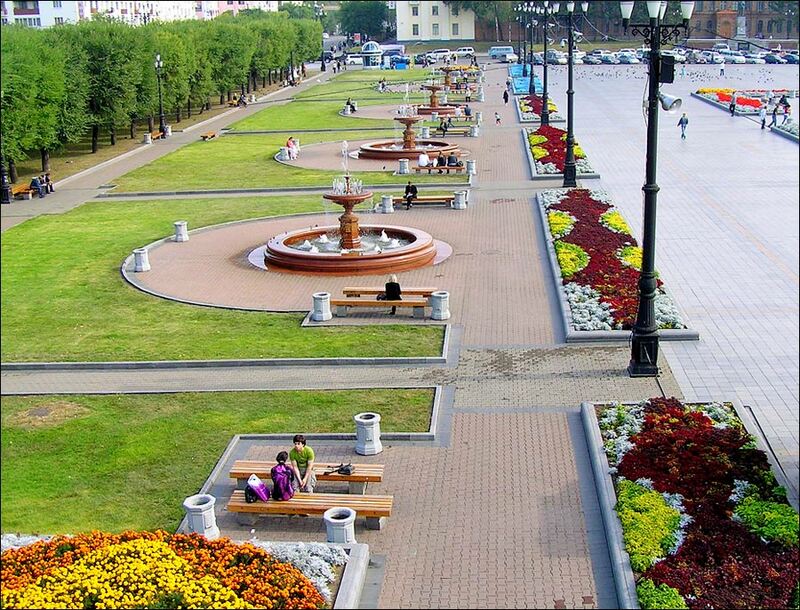 It is a large and beautiful park located in the center of Khabarovsk. You can relax at any time of the year here. Not far from the park you can find the city’s ponds with walking zones and a cascade of fountains. 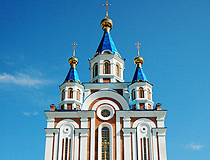 Church of St. Innocent of Irkutsk (Turgenev Street, 73b). 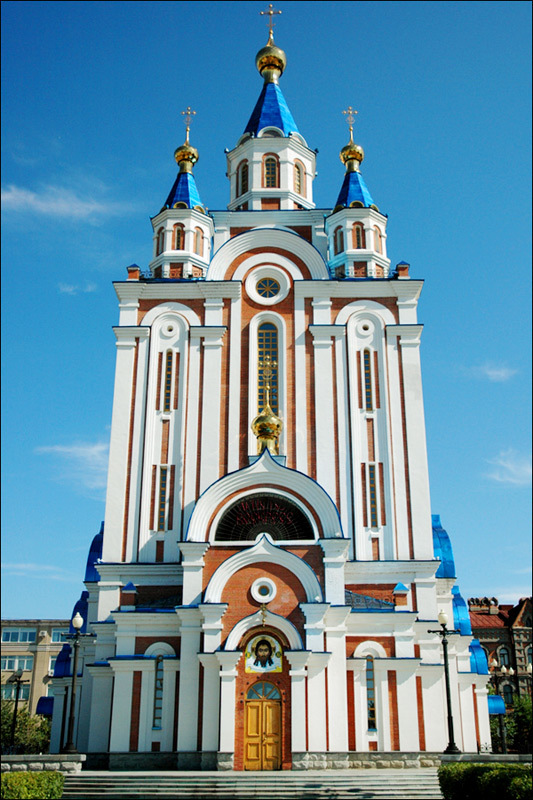 The main Orthodox church and the oldest church in Khabarovsk. The Monument to N.N. Muravyov-Amursky. 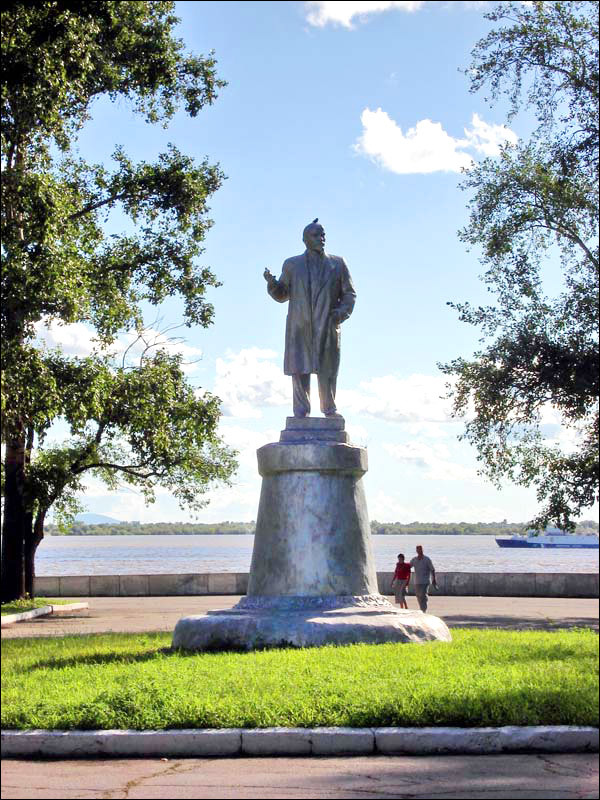 This monument is the hallmark of Khabarovsk. Hotel “Sapporo”. 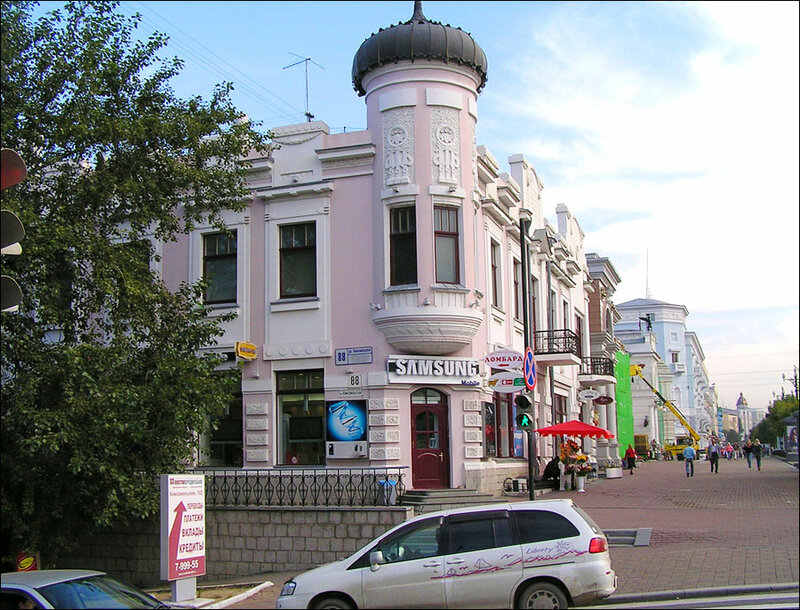 The hotel is located in the center of Khabarovsk close to the Museum of Local Lore, the Museum of Fine Arts and the Amur River. Komsomolskaya Street, 79. Tel . : 8 4212 30 42 90, 30 44 18. Thabiso asks: Hi i'm from South Africa City of Durban, i would to know if there are any black people in Khabarovsk? I will visit my GF soon in this place. Any interracial relationships around the city? 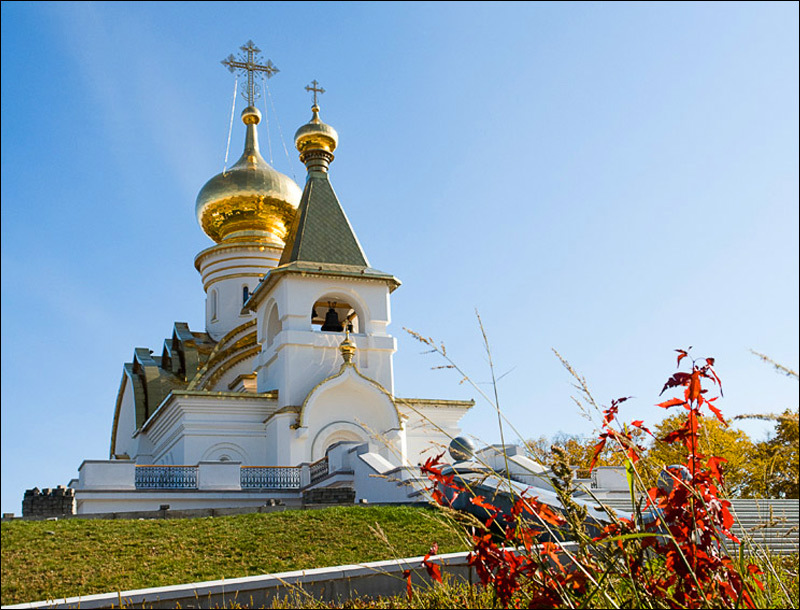 Khabarovsk is a relatively large city located near the border with China and a lot of foreigners visit it. From this point of view it is safer comparing to small towns where every foreigner immediately becomes the center of attention. There are still some risks and I would not recommend you to go for a walk alone or with your gf in the evening/night time, especially not in the central parts of the city, avoid any conflicts with locals, be especially careful if you go to local night clubs/bars. I lived in Khabarovsk for many years. I was an American working there. I spoke fluent Russian and pretty much blended right in. No one guessed I was a foreigner. I made lots of truly wonderful friends some of whom became like family. I walked about any time I felt like it and never had any sort of problems. I lived in several other cities, including Moscow and St. Petersburg and Khabarovsk is my favorite. If I could figure out a way to live there permanently, I would with pleasure. I had the pleasure of flying a number of flights to Khabarovsk in the early 1990's. I met some wonderful people, one very special person. While the city was in a semi state of disrepair, it still held the historic beauty of its earlier years. It has been over 20 years since my visit and I would very much like to return. Perhaps not in this life time but the memories live on.